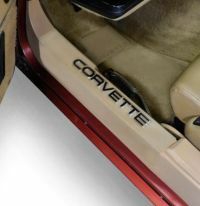 Looking to upgrade your 1984-1996 C4 Corvette's interior? We have everything you need to add a unique touch to your ride so that when you get into your Corvette, you get into your very own custom cockpit; get ready, 'cause you're about to take flight! We have everything from easy installs -- like a real rosewood dash kits, which change the entire ambiance of your classic Corvette interior -- to custom upgrades that take your piece of American racing heritage to the next level. Face it; you don't drive a Corvette to fit in. Simple items such as embroider floor mats and billet racing pedals are a necessity if you’re looking to have your machine stand out at an event or car show. Simple interior parts can really set the tone of a car for driver and onlookers alike. 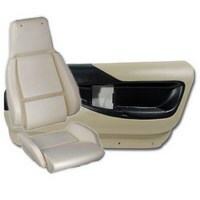 Make sure that you get the 1984-1996 C4 Corvette interior parts that really highlight your cars style. 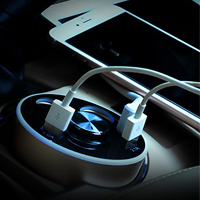 Major upgrades from the manufacture can make your driving experience more pleasurable. But, may C4 owners don’t realize that there are many GM accessories that you can install in your corvette that will increase driving pleasure for much less. Suede seat covers will not only protect your seats, but they’ll give you the comfort you desire when digging through the corners on your Sunday drive. Keeping your Corvette in showroom shape is easy with Corvette Mods' help. We have shift boots and door sills will show people you care about your investment. Not only will C4 Corvette interior parts increase the value of your car now, but it will ensure that your interior holds its value in the future. Just like changing your oil or replacing your radiator cap, your interior needs maintenance and attention. Since 2002, we've been serving Corvette enthusiasts around the globe. Here at Corvette Mods, we understand how much you love your Corvette. Whether you're looking for seats, steering wheels or other accessories, we carry the C4 Corvette interior parts you need to modify or restore your C4 Vette. Take a look at our selection and see for yourself. 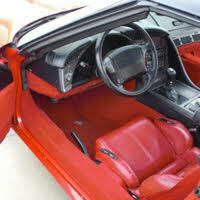 We have a huge selection of '84-'96 C4 Corvette interior parts at low-prices and fast shipping. 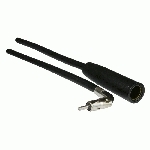 In fact, we ship all orders within 24 hours of being placed. If you decide to pick up the phone and call us, you'll always speak to a knowledgeable professional who can answer your questions. We take our customers very seriously since they are the most important part of our business.